When it comes to running errands on the weekends, I want to be cozy but still look cute. 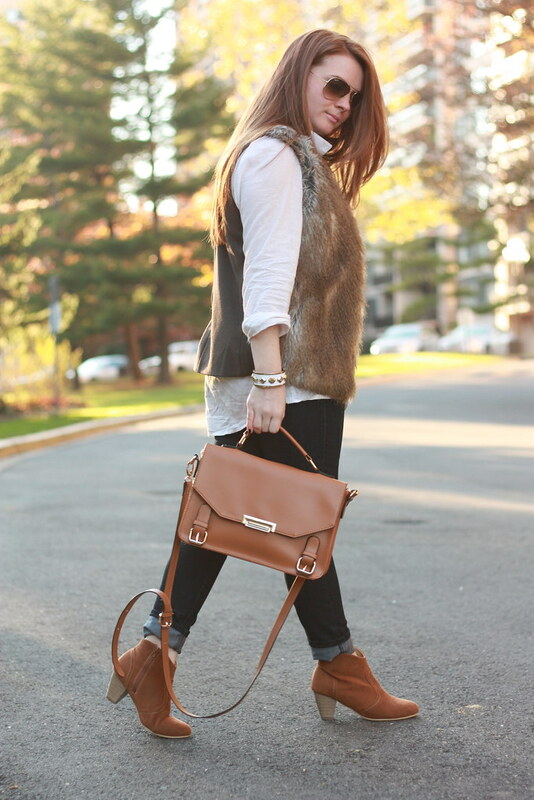 In the fall and winter, that means tossing on a faux fur vest over a blouse, sweater or simple t-shirt. 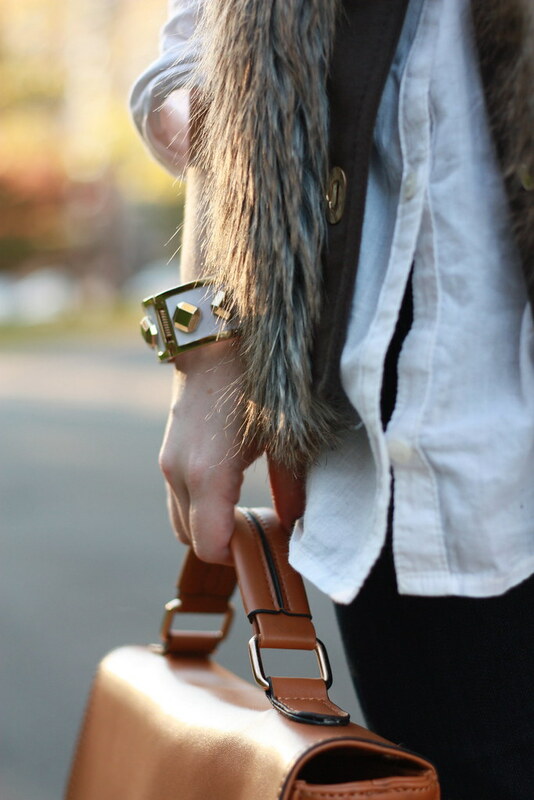 It keeps things casual but still looks put together...not to mention it keeps you extra warm! Speaking of being warm, I actually wore this outfit to do some shopping over the weekend where I stocked up on chunky knits and sweaters. My wardrobe was seriously lacking in that department and I'm happy to have added some seriously cozy pieces to get me through the cold weather months! LOVE love love this look! 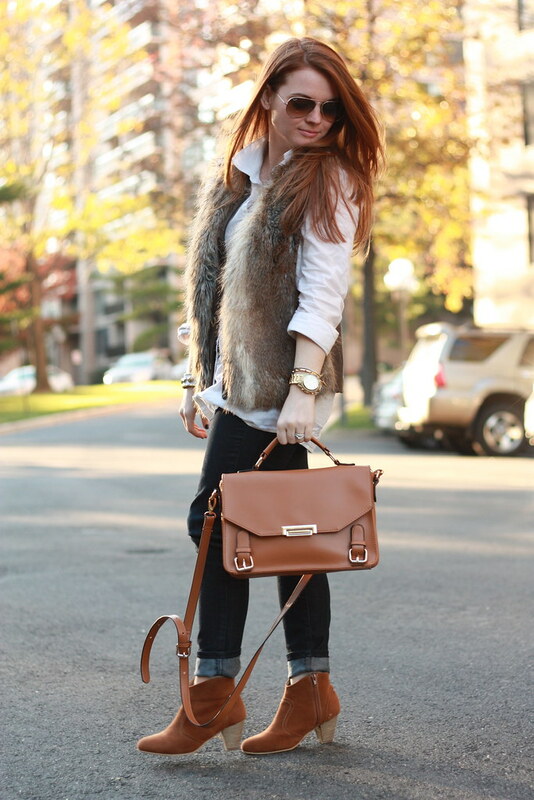 The faux fur is amazing and I love how you paired it with that amazing bag and booties! So pretty! Love love loveeee it! I haven't whipped out my faux fur vest yet, but you're inspiring me to! 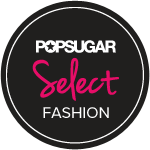 This is the perfect weekend look! I love that your vest is only fur on the front. Thinking I might have to add a faux fur vest to my wardrobe! 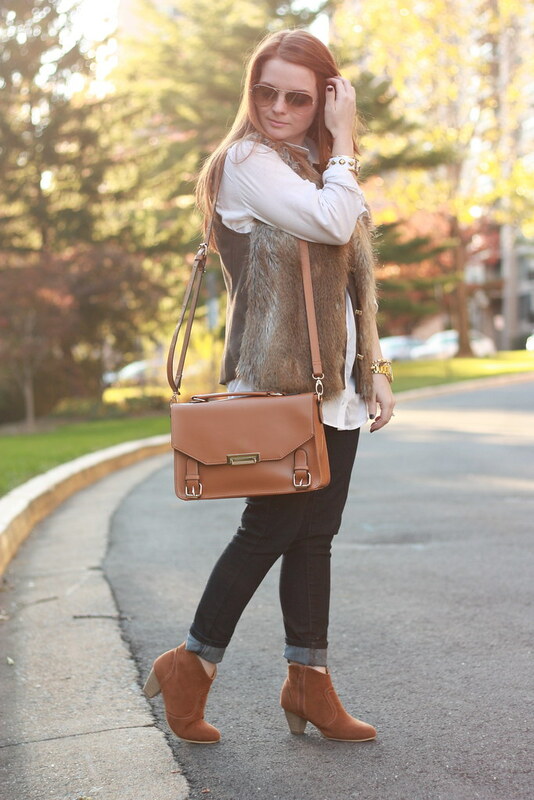 love fur vest in the fall season. Looks pretty.